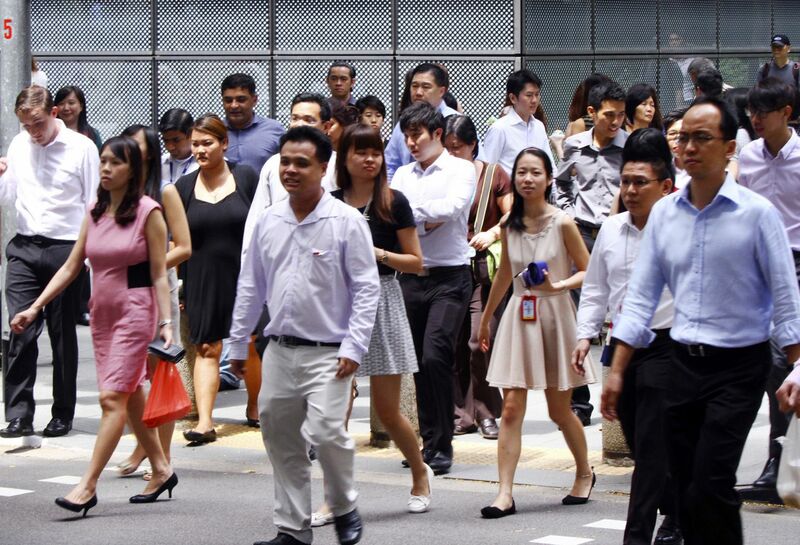 Although the employment market is set to improve next year, the MAS advised Singaporeans to remain prudent. This is because wages are unlikely to increase rapidly as existing slack in the market will take time to be absorbed. The MAS also took the opportunity to remind workers to be careful with property purchases and that they should “pay heed to the large upcoming supply of private housing units and factor how market conditions will affect rental yields in the medium term”. Companies are doing better. Corporate profitability remained stable on the back of improvements in the global economy. However, sectors such as domestic-oriented firms, marine and offshore engineering sub-sector, will continue to face challenges. Interest rate and earnings surprises are things that firms be watching out for. They should always be on guard for hinger interest rates that could weigh on their debt servicing abilities. Still, workers have much to cheer. 1.) Employment rate for residents aged 25 to 64 continued to increase to 80.7% in June 2017. 4.) Median Gross Monthly Income see a rise across the board with lower wage workers seeing a faster rate of increase. Overall, the country had seen healthy growth this year blossoming from increase in productivity. The improvement comes about even when manpower policies remain tight. This shows that labour and economic policies have been working and the country should work together in improving these figures.